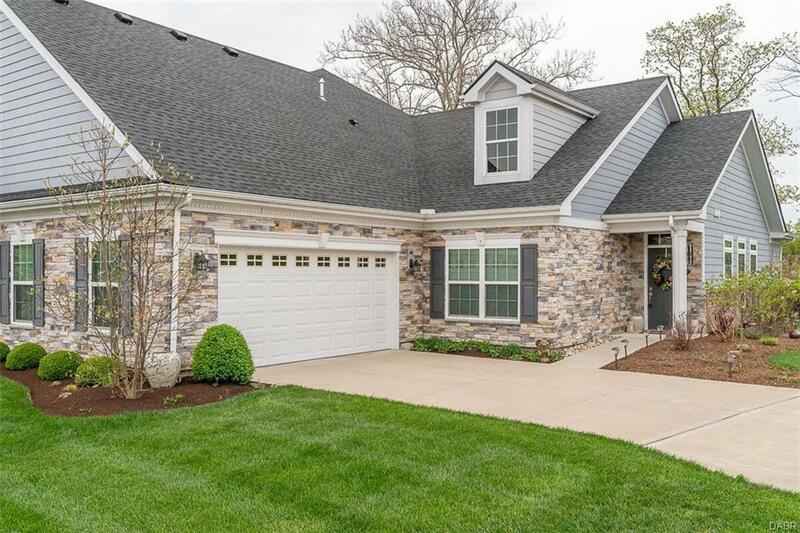 The Cottages at Yankee Trace, former Charles Simms model home located on a beautiful landscaped & manicured lot backing to woods & creek. 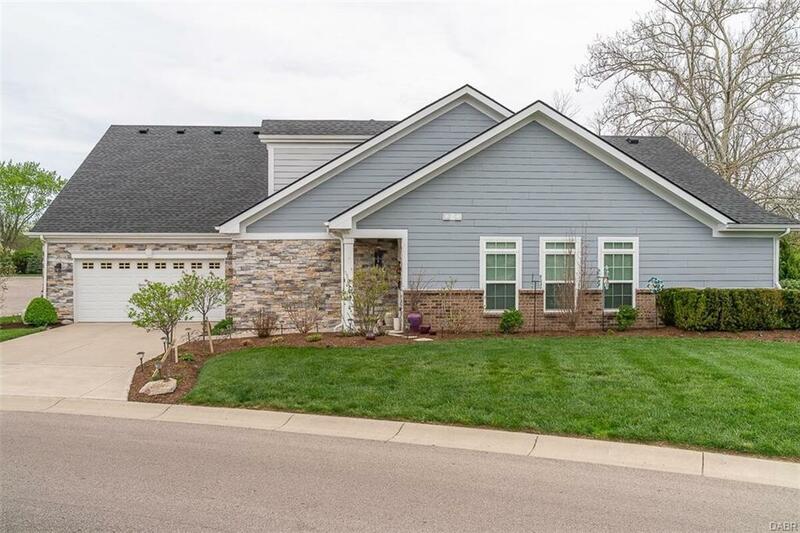 Exquisite open floor plan highlighted with a stone gas fireplace & built-in bookcases, The chef will show off their cooking skills in the deluxe kitchen with granite countertops, maple cabinetry w/pull-out shelves, stainless steel appliances, gas range. Large dining area opens out to newly enclosed 3-season room to enjoy most of the year. Large master suite w/huge walk-in closet, raised vanity, ceramic/glass shower. Utility room w/top-of-the-line washer & dryer, built-in pantry. Guest suite w/walk-in closet & full bath. 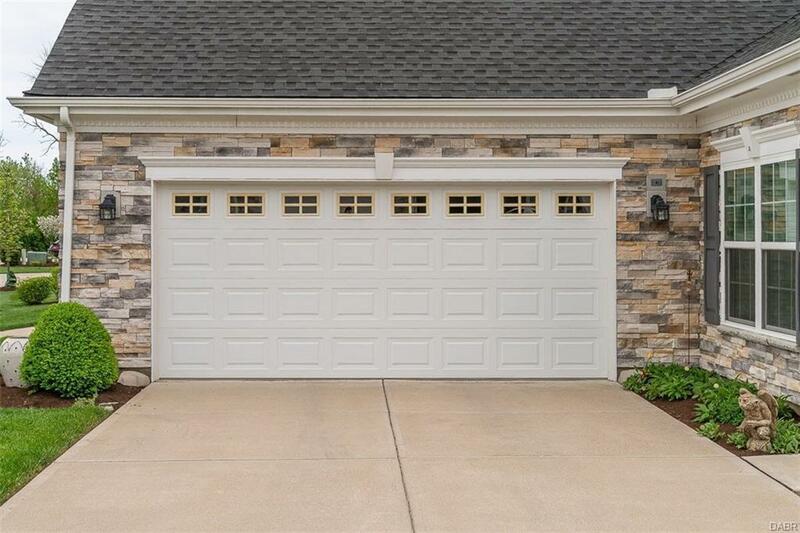 2-car garage w/wall of built-in cabinets & wall of built-in hanging hooks. Pull-down to floored attic. 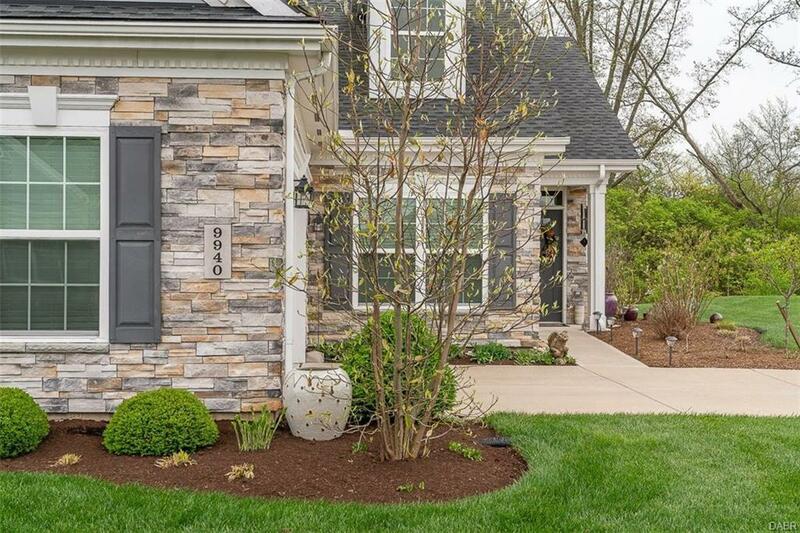 Seller has added $30,000+ features, new landscaping. HOA includes mowing, mulch, snow, pool & community room. Listing provided courtesy of Lois A Sutherland of Irongate Inc.. © 2019 Dayton Area Board of REALTORS® MLS. Information Deemed Reliable But Not Guaranteed.